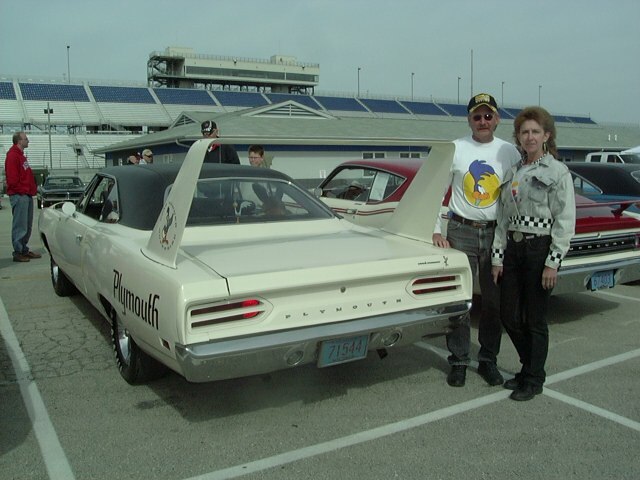 Darlene and Ron Holtdorf ready for action in their Six Pack, 4-speed Superbird. 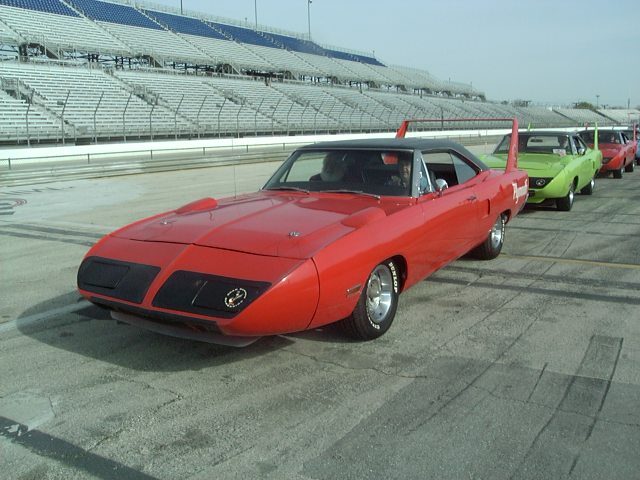 Roy and Diane Lange in another Six Pack Superbird. Roy has owned the car since about 1979, and the mileage is still very low. 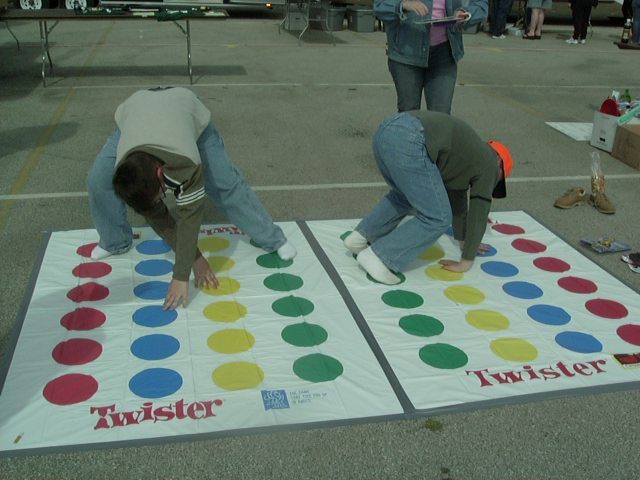 Joel and Jon Turner checking out the Twister game. 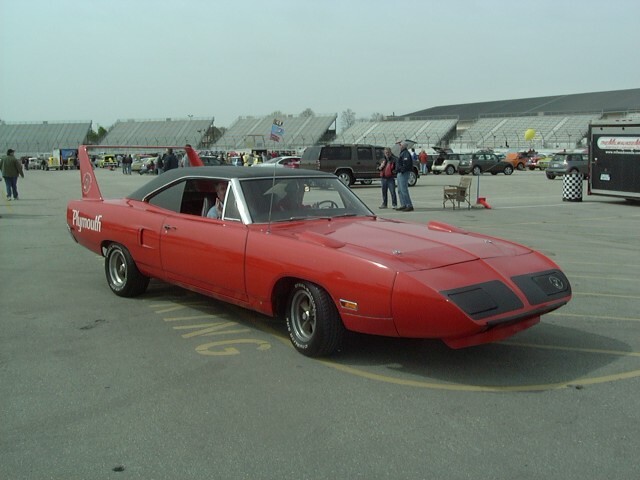 Mike Borkowski (left) and son in law John with Mike's 440 4-speed Superbird. 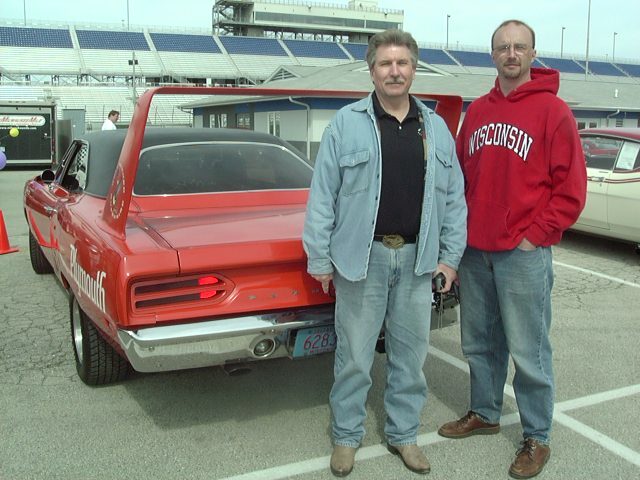 Mike is one of the few original owners left having bought his car here in Milwaukee in September 1970. 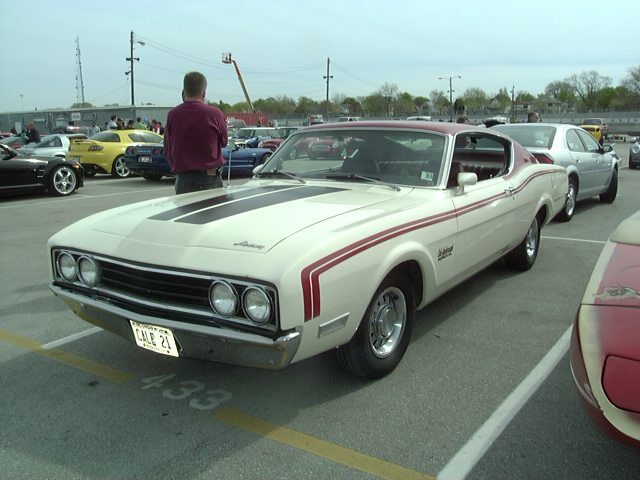 Mike's car is super original still wearing original paint, period pinstriping, window tint and American mag wheels. John is itching to get behind the wheel here at the Mile. 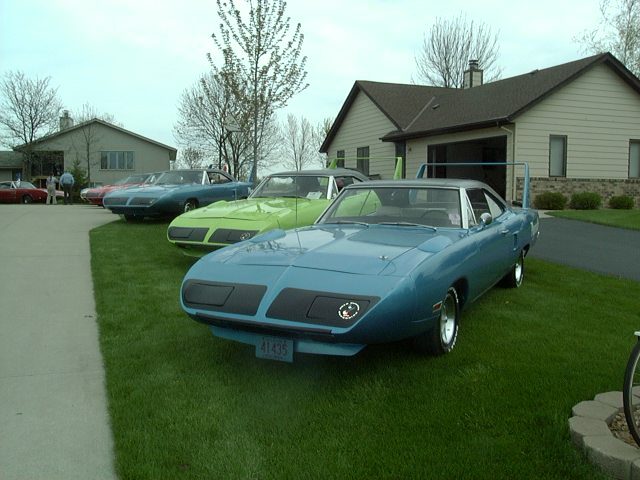 Two more shots of Mike's survivor Superbird. 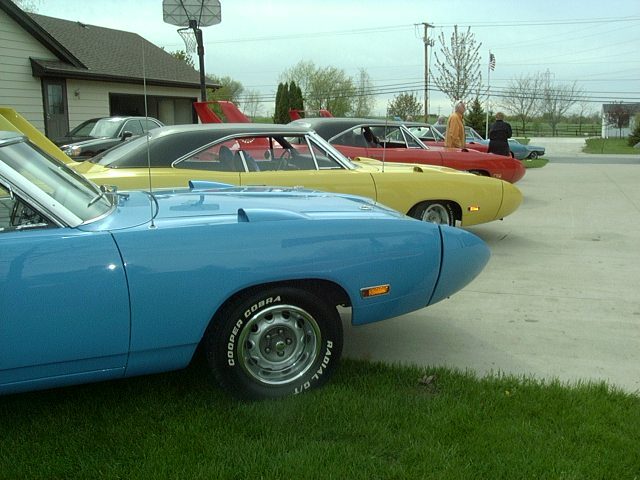 Can't beat those old school American Racing wheels. 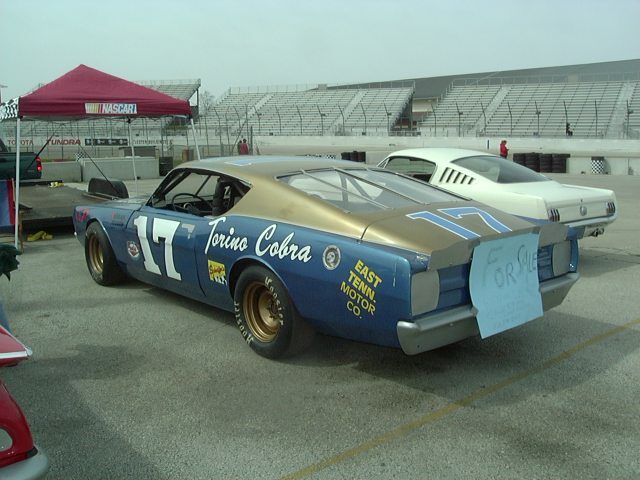 Steve Powers' lovely Cale Yarborough Spoiler II. 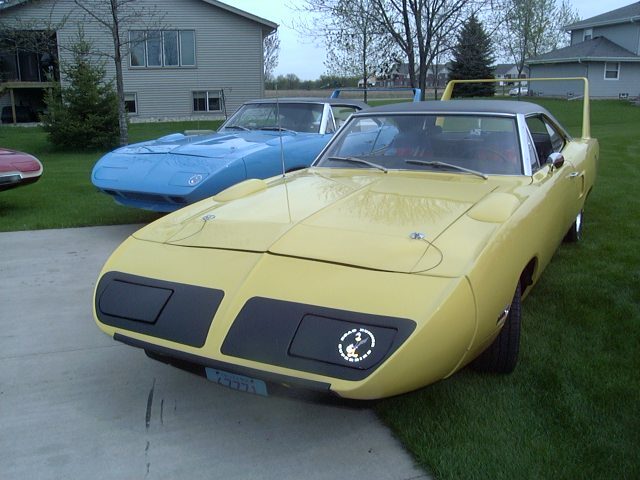 Steve is also an original owner of a Lemon Twist Superbird. Dave and Shirley Moots own this immaculate Cale Spoiler II. 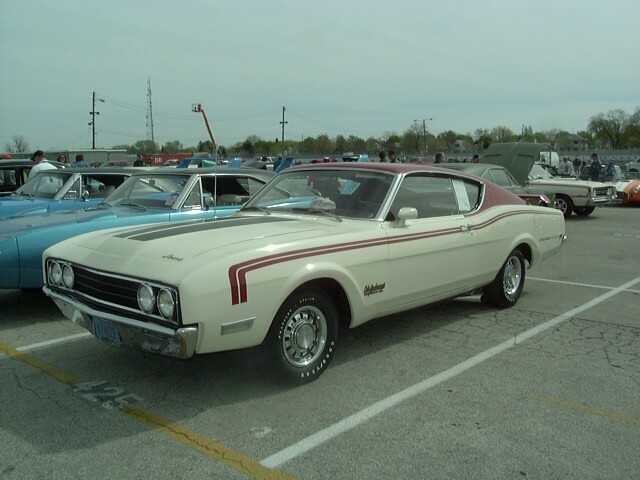 Dig those side exhausts. 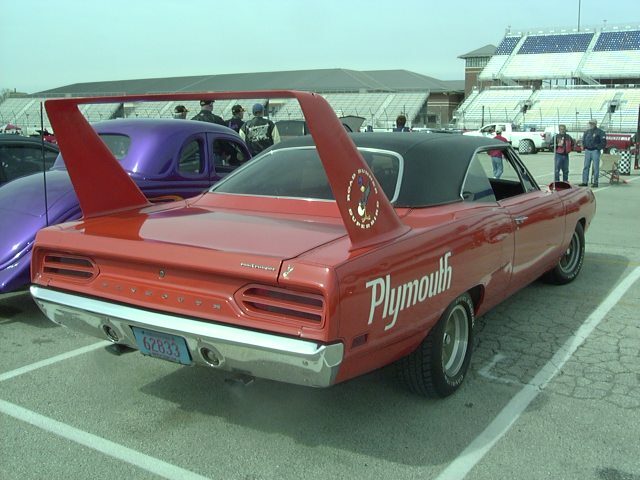 Rear view of Dave and Shirley's Spoiler II. Dave Poppe's B5 Blue / white bench Bird from Milwaukee, with Mark Borucki's white bucket Bird alongside. 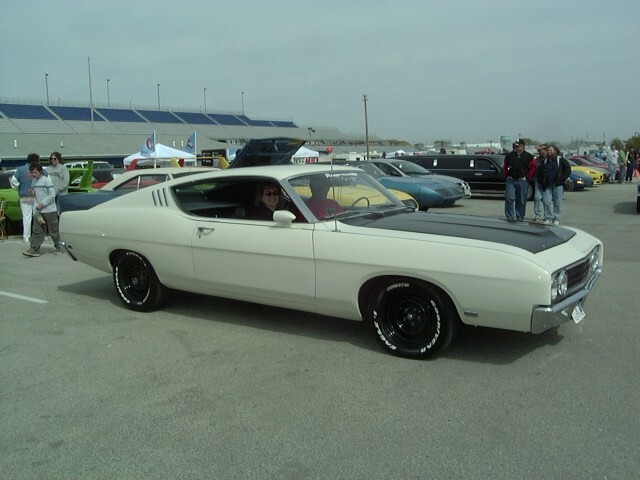 Jim Plimpton's Talladega has been upgraded with a 4-speed. 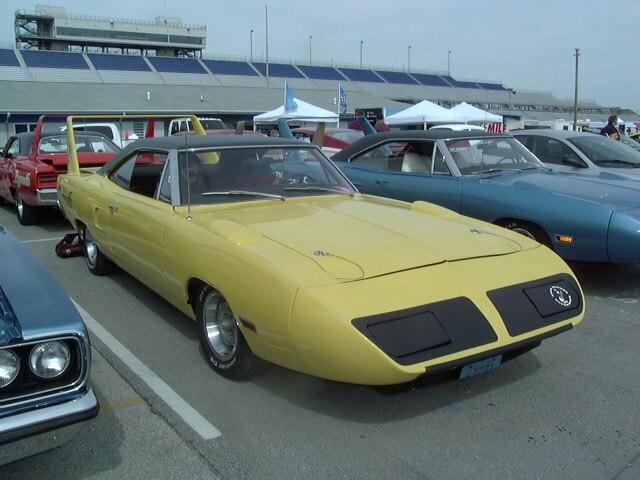 Brian Horst has owned this 440 4-speed Lemon Twist Bird forever. 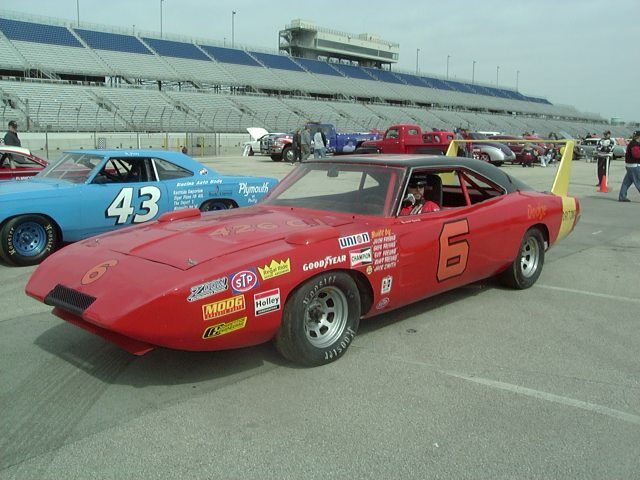 There is a local group of racers in Wisconsin who actually race in period looking cars. 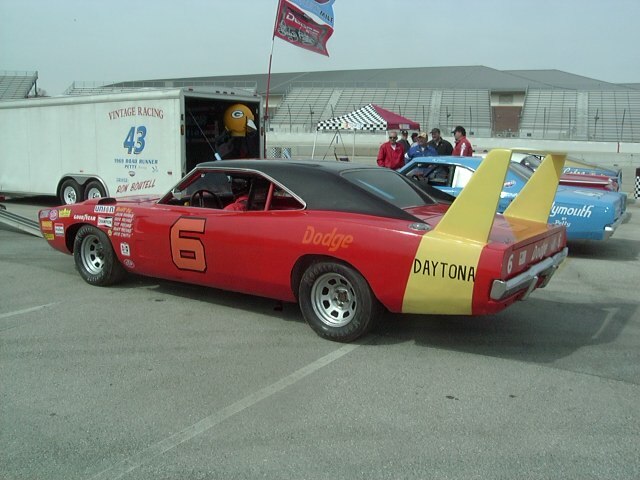 This car is a homage to Buddy Baker's Daytona. 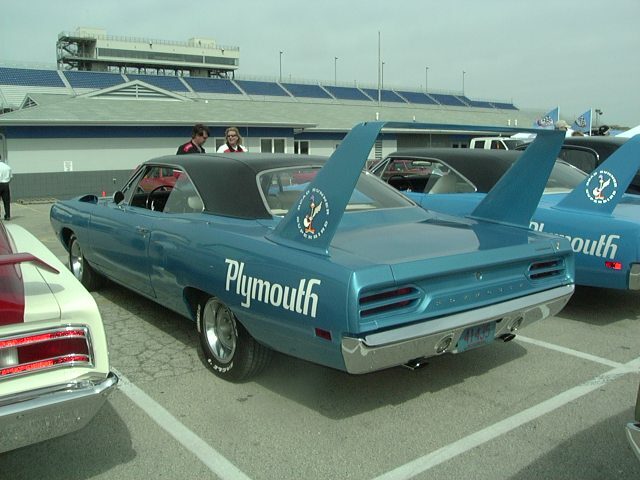 Everything on the car is home built, but it looks pretty good whizzing by the stands at 100 mph. 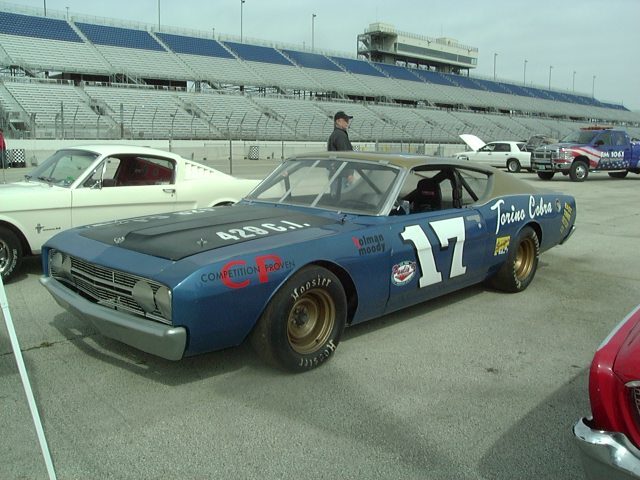 This Pearson "Talladega" sports a home built front clip. Not a bad job either. 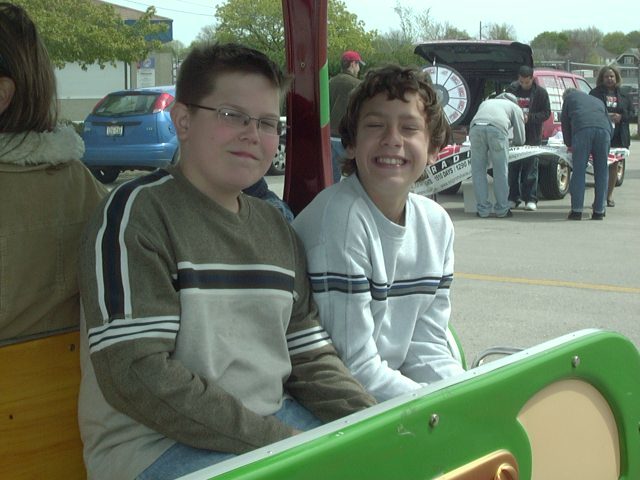 Joel Turner and his buddy Joey getting ready to take a tram ride. 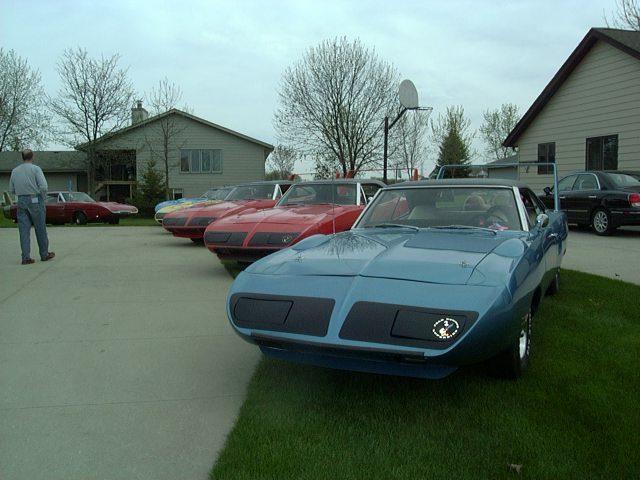 After the track activities wound up, we migrated across town to the home of Chuck and Sharon Porter for eats. 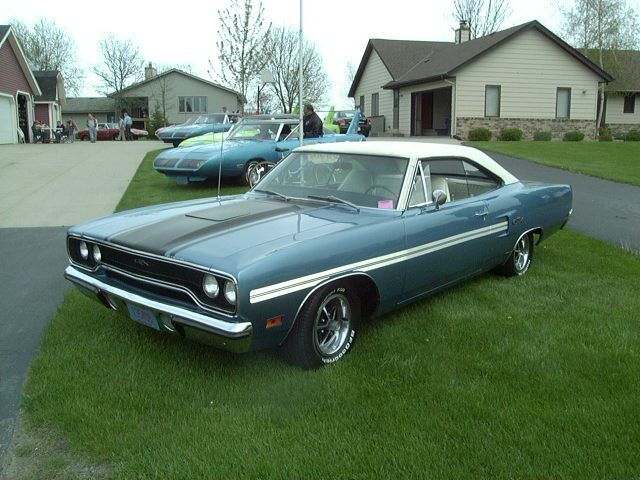 Mike Totero's 440 automatic GTX in B3 blue. 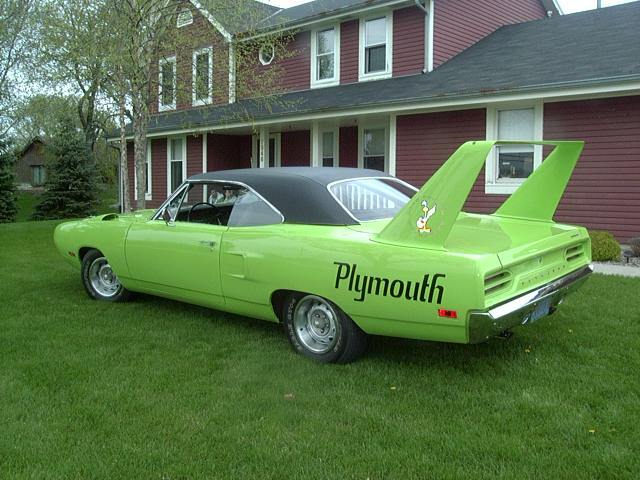 Lyle's 426 Hemi Superbird packs a 4-speed. Yowsah !!! 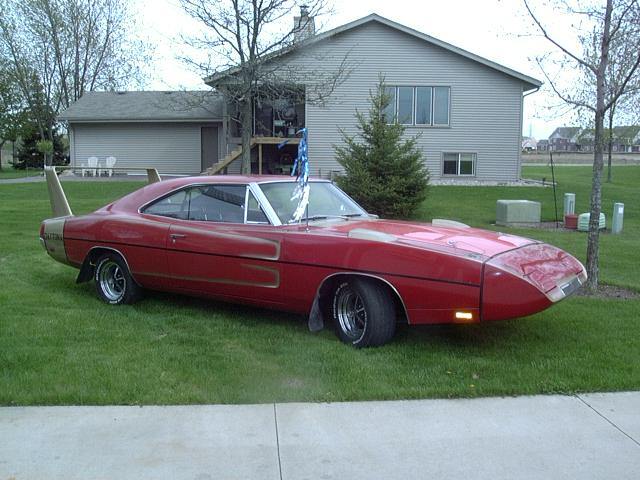 440 4-speed Daytona is todays used car bargain. 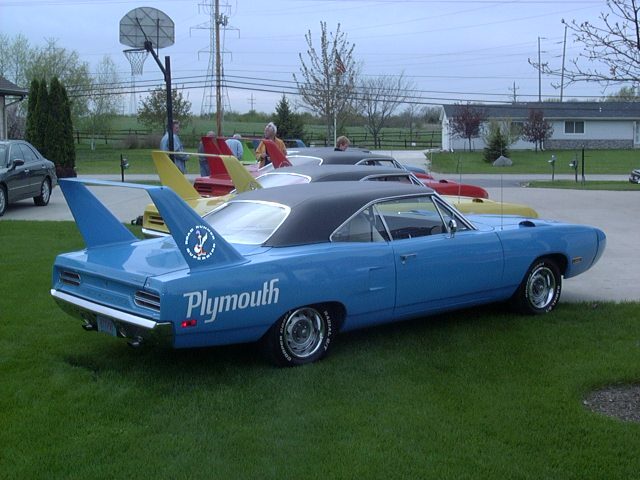 Jim & Kathy Wurster's Petty Blue Winged Warrior. 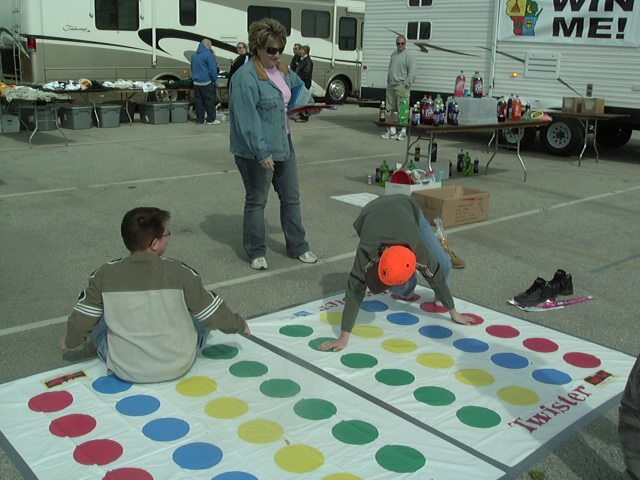 We got together at famous Milwaukee Mile race track for laps and later a club picnic at the home of Chuck and Sharon Porter. 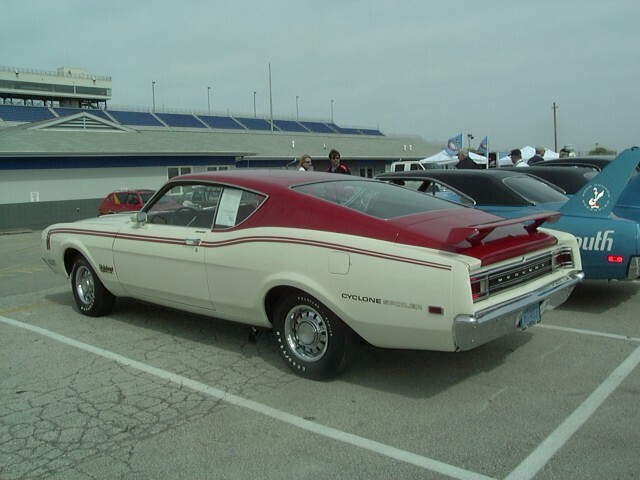 The MIlwaukee Mile is the oldest continously operated track in America.